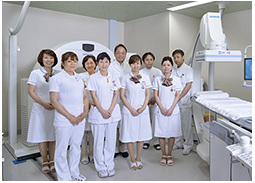 大井博道：Interventional Radiology; Vascular IVR, 血管塞栓術、（中村仁信　編）Upper 放射線医学；画像診断学，pp864-876，南山堂，東京，2001. 大井博道：Interventional Radiology; Vascular IVR, 持続動注化学療法(リザーバー)、（中村仁信　編）Upper 放射線医学；画像診断学，pp883-890，南山堂，東京，2001. Oi H., Nakamura H., Nakabayashi T., Waki K.: Method for ejecting cestodes: Duodenal tube injection of gastrografin. American Journal of Roentgenology 143:111-113,1984. Oi H.: Dynamic sequence / Dynamic serio: Gastric cancer. Somatom plus case studies 2:156-157,1991. Oi H.: Dynamic sequence / Dynamic serio: Hepatocellular carcinoma. Somatom plus case studies 2:158-159,1991. Oi H., Matsushita M., Yamazaki H., Okamura J.: Therapeutic effectiveness of segmental arterioportal chemoembolization via hepatic artery for localized hepatocellular carcinoma. European Radiology 2:413-420,1992. Oi H., Kim T., Kishimoto H., Matsushita M., Tateishi H., Okamura J.: Effective cases of transcatheter arterioportal chemoembolization with high-dose iodized oil for hepatocellular carcinoma. Cancer Chemotherapy and Pharmacology 33:ss69-73,1994. Oi H., Yamazaki H., Matsushita M.: Frequency of angiography-induced gallbladder opacification assessed by CT after 12-24 h. European Radiology 4:421-424,1994. Oi H., Murakami T., Kim T., Matsushita M., Kishimoto H., Nakamura H.: Dynamic MR imaging and early-phase helical CT for detecting small intrahepatic metastases of hepatocellular carcinoma. American Journal of Roentgenology 166:369-374,1996. Oi H., Kishimoto H., Matsushita M., Hori M., Nakamura H.: Percutaneous implantation of hepatic artery infusion reservoir by sonographically guided left subclavian artery puncture. American Journal of Roentgenology 166:821-822,1996. Oi H., Matsushita M., Murakami T., Nakamura H.: Dynamic MR imaging for extraserosal invasion in advanced gastric cancer. Abdominal Imaging 22:35-40,1997. Oi H., Yamazaki H., Matsushita M.: Delayed vs. immediate adverse reactions to ionic and non-ionic low-osmolality contrast media. Radiation Medicine 15:23-27,1997. Oi H., Kishimoto H., Matsushita M., Katsushima S., Tateishi H., Okamura J.: Antitumor effect of transcatheter oily chemoembolization for hepatocellular carcinoma assessed by computed tomography: Role of iodized oil. Seminars in Oncology 24:ppS6-56-S6-60, 1997. 大井博道、松下正樹、金　東石、岸本陽督、松村　徹、原田三郎： IDR-1000システムの初期臨床経験とその将来性，Medical Now　16:9-14,1993. 大井博道：State of Arts；Arterial infusion chemotherapy；肝癌の動注化学療法，日本医学放射線学会雑誌 55:No6,Review Supplement pp5-7,1995.